Update: A previous version of this article incorrectly cited the PS4 Pro as the console, when it was a standard PS4. 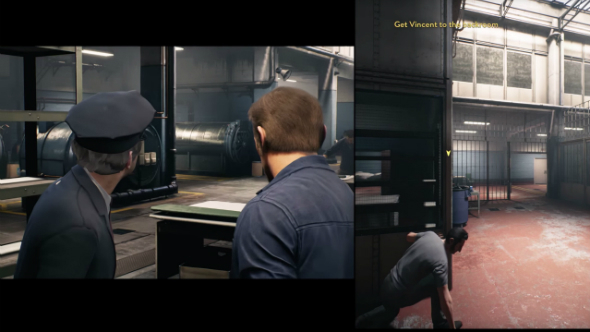 Unveiled during EA’s E3 conference, A Way Out looks promising – from the team behind Brothers: A Tale of Two Sons, the co-op adventure game offers asymmetrical drama filled with prison breaks and male bonding. Its developer, Josef Fares, has been giving out interviews about his studio’s new game. In a chat with Engadget, Fares was talking about displaying his game on PS4, and all the advantages that supposedly had. Fares says there aren’t any, really. He seems to suggest that optimisation efforts for consoles slows game development down, while the specs themselves bottleneck developers, stopping them from doing everything they want. While consoles have similar architecture to PC these days, it’s clear there’s still a huge gap in terms of power, even with these mid-generation upgrades. In fact, rather than jumping to a proper new generation, developers need to make sure games run on the vanilla PS4 and Xbox One. While he’s aiming specifically at the PS4 here, the Xbox One is even more underpowered and that’s what developers will need to aim for, despite the existence of the Xbox One X.
We’ve reached out to Fares to clarify his comments further.